After a few seconds, a new tab in your browser will pop up. 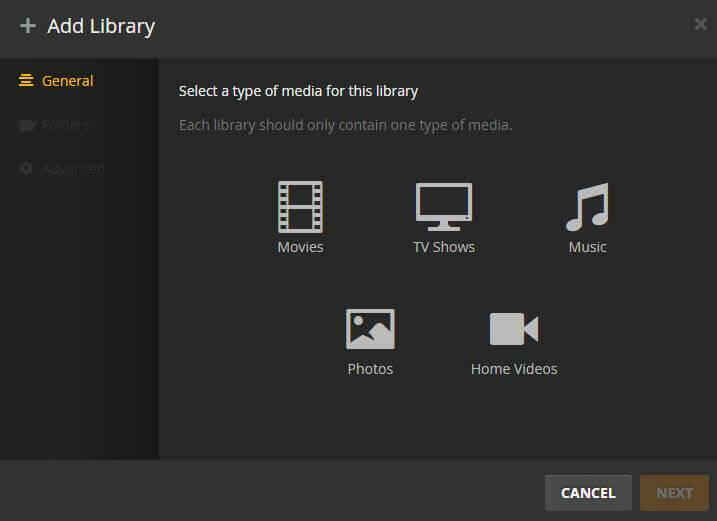 Here click “+” and you’ll see five options for adding media to your library. Choose a type and click “Next”. Then hit “Add Folder” and navigate to the folder containing the media you want to add. Click “Add Folder” again if you want to include additional folders. When you’ve finished making your selections, click “Add Library”. It may take a minute or two for your media to appear in the browser tab. 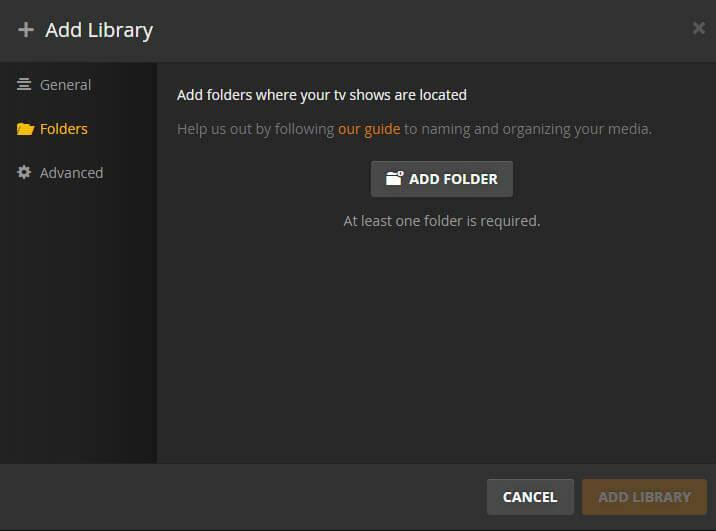 Editor’s Note: Plex’ Direct Play, which simply passes on your video to the Roku, requires your video to respond to Roku’s supported files. If your media server computer is strong enough, you can skip the converting and simply transcode your media. Transcoding is essentially the same as converting, except that it happens on the fly. You don’t need any preparations, as Plex will automatically convert the video while it’s playing. You do however need a sufficiently powerful computer. If your computer is not powerful enough to support on-the-fly transcoding, you can turn to help from a third-party video converter app which enables you to convert Roku unsupported videos like AVI, MKV DTS/5.1, FLV, VOB, MTS, H.265 MP4 to Roku friendly format in advance. Brorsoft Video Converter is a great application to help you fast transcoding AVI, VOB, MTS, FLV, MOV, MPG, MKV DTS to Roku 4/3/2 supported video format with least quality loss. What’s more, with the built-in video editor, you can personalize and retouch your videos in clicks. 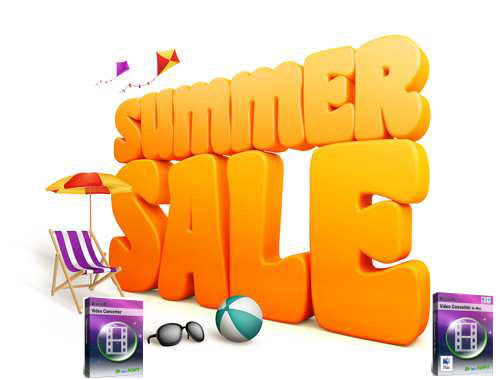 For Mac users, Brorsoft Video Converter for Mac is the right choice. Run the Roku vidoe converter program and click add button to import .mkv,.avi, .h.265, .vob, .mpg, .flv… files. As you can see, you can also drag and drop the media to the program’s main interface. Click Format bar and choose H.264 High Profile Video(*.mp4), H.264 Main Profile Video(*.mp4), or H.264 Baseline Profile Video(*.mp4) from “Common Video”, which can be recognized by Roku 4, Roku 3, Roku 2 perfectly. 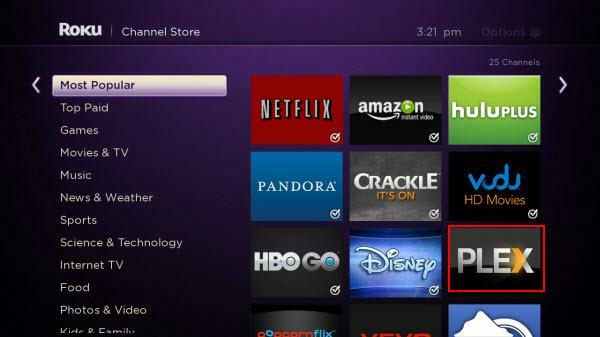 Finally, hit the “Convert” button at the bottom of the main interface to start Roku vidoe conversion. After the conversion, you can hit “Open” button to quick locate the converted videos; now you can stream any videos to Roku via Plex as easy as you can image.